Irish attitudes were found to be the most positive in the EU. The European Commission surveyed all 28 EU member states. 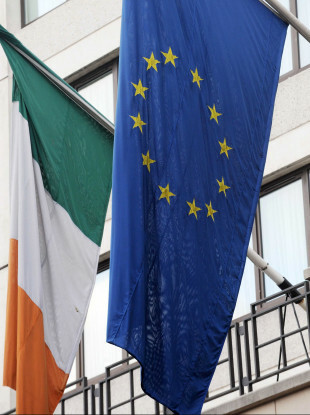 80% OF IRISH people feel that the integration of immigrants in the country is successful, according to a new survey – the highest proportion of positive responses across all EU member states. The EU-wide survey published by the European Commission shows that when asked “Generally speaking, how successful or not is the integration of most immigrants”, 80% of Irish respondents selected the response “Integration is successful in the local area or country”. This is 26% higher than the EU average. The survey, the Special Eurobarometer 469, evaluated public opinion on the integration of immigrants in all 28 EU member states. By surveying over 28,000 people, including 1,000 in Ireland, it found that respondents from Bulgaria, Estonia and Hungary were the least positive about immigrant integration in their countries. The UK was the fourth most positive, with 71% believing that immigrants are successfully integrated into their society. Overall, 54% of EU respondents think that the integration of immigrants is successful. In countries that have a low proportion of non-EU immigrants in their population, respondents are less likely to see integration successfully or feel immigrants have a positive impact on their society. and those with lower levels of education are more likely to see it as more of a problem, the survey’s findings state. “The overall picture is therefore an ambiguous one: seeing immigration as a problem may not mean hostility against migrants, but rather reflect a perception that governments are not managing the issue of immigrant integration in an adequate way,” it states. A majority of Europeans think that the integration of immigrants is a necessary investment in the long run for their countries. The Irish results were welcomed today by David Stanton, minister of state with special responsibility for equality, immigration and integration, who said that the findings are “encouraging and are a credit to local communities and organisations working in support of integration throughout Ireland”. Embracing diversity is key to successful integration and we hope to build on these positive results. The government is working to ensure the successful integration of refugees, he said, and is committed supporting local-level efforts through the Communities Integration Fund. The Office for the Promotion of Migrant Integration is working hard with local authorities throughout the country to ensure that the integration needs of refugees arriving under the Irish Refugee Protection Programme continue to be met when they leave emergency accommodation and move into their new communities. Integration is a continuous process that requires sustained commitment and dedication. Overall in the EU, just 37% believe that they are well informed about immigration and integration related matters. In general, Europeans tend to overestimate the number of non-EU immigrants: in 19 out of the 28 member states, respondents estimated that the proportion of immigrants in the population is at least twice the actual proportion. Around six in 10 respondents in the EU interact with immigrants in a week. Around four in 10 have family members or friends who are immigrants. Email “80% of Irish people believe immigrants are integrated successfully”. Feedback on “80% of Irish people believe immigrants are integrated successfully”.